Remember November 12th, if you’re concerned about more expensive rental apartment towers coming to the Downtown Eastside (DTES). That’s the day of an open house for a new development proposal at 288 E. Hastings, on the west side of Gore Avenue and just across from the First United Church and shelter. The new local area plan for the Downtown Eastside stipulates that all new developments in the Downtown Eastside Oppenheimer District (where 288 E Hastings is located) have to be 100% rental and have to contain at least 60% social housing. However, the proposed development at 288 highlights the weaknesses of these zoning requirements. It shows that 100% rental and 60% social housing won’t provide enough social housing units to meet the neighborhood’s need or to deter the further loss of affordable housing in the area. The 288 proposal is for an 11-storey building with 172 rental housing units. According to the current plan, which could still change, only 34 of the 104 social housing units will rent at the welfare rate of $375. The remaining 70 so called social housing units will rent at the Housing Income Limits rate which is currently $912 a month for a bachelor, but the rate is not fixed and it can rise over time. The remaining 68 units will be privately owned market rental units, with no upper caps on rents. The proposed units for people on welfare on the first four floors of the building are tiny, at 263.4 sqft, while the more expensive, privately owned rentals on the upper floors would be significantly bigger, at 432.3 sq feet for a studio. The development will be built through a partnership between BC Housing and the Wall Corporation. The Wall Corporation currently owns the plot and the plan is for Province to buy it from them, construct the building and then sell the retail and market units back to Wall Corporation in order to finance the non-market component. It’s unclear how much profit the Wall Corporation will make in this deal or how much the Province will be subsidizing their profits, if at all. Will people be able to get a haircut for $8.50 in the new development? However what we do know with 100% certainty is that the retail and the market housing component that will be eventually be managed and marketed by the Wall Corporation – with luxury buildings such as the One Wall Centre under their belt – will be exclusive and expensive. The Carnegie Community Action Project (CCAP) is afraid that the new project will help gentrify the neighborhood because most of the rents will be higher than current rents in the DTES. With higher rents, property values and taxes will go up and rents in nearby SRO hotels could also go up. 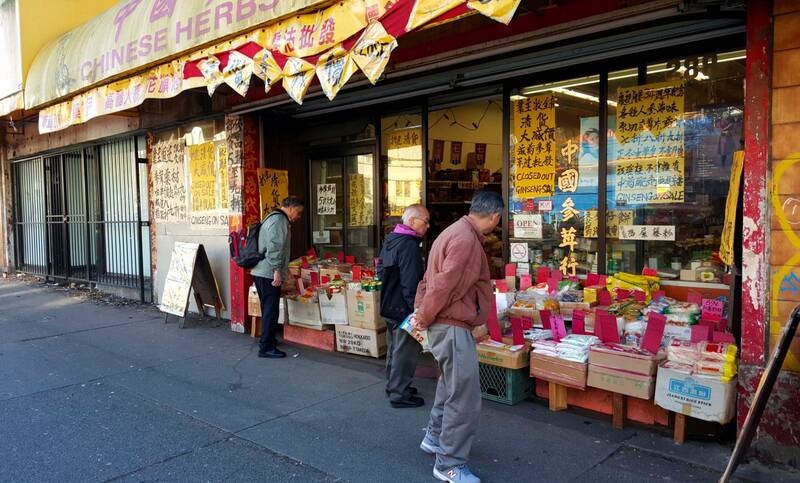 The new proposal also requires eliminating several small businesses, like the Golden Wheat Bakery, Lee Loy BBQ meats, the Ferry Market, and a barbershop that serve the low income and Chinese community. The new retail spaces will also create new zones of exclusion for low-income residents in the neighborhood. It looks like BC Housing will be putting at least $15 to $16 million into this project. With the cost of a new self-contained unit estimated to be about $250,000 in Vancouver, $16 million could build 64 units that people on welfare could afford. This project, however, will evidently provide subsidies for people who are able to afford $912 a month for rent. On Nov. 12, CCAP will hold an alternate Open House near the Chinese Cultural Centre, 50 W. Pender, where the official open house will happen between 5 and 8 pm. Come on down and learn about the proposal and its impacts from CCAP and let the city know what you think on their official comment forms. This proposal does not require a rezoning but does have to be approved by the Development Permit Board at a meeting on Jan. 25 at 3 pm at City Hall.